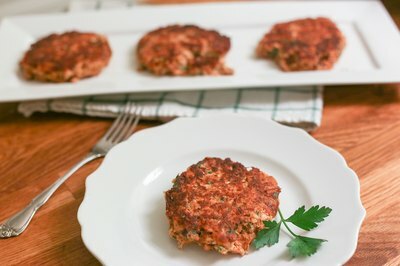 Making salmon patties is a simple, economical way to serve a fish that commands a premium if you purchased it fresh; to make them, you can use inexpensive canned salmon. 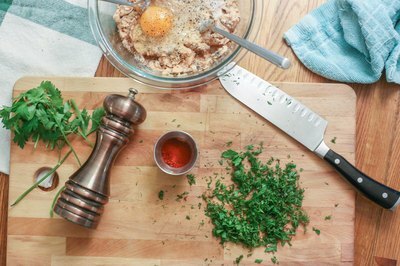 Combine canned salmon with binders such as breadcrumbs and an egg, add desired ingredients for flavor, such as finely chopped onions and bell peppers, and fresh herbs like parsley and dill; then pan-fry or bake the patties until they're golden brown and crispy. 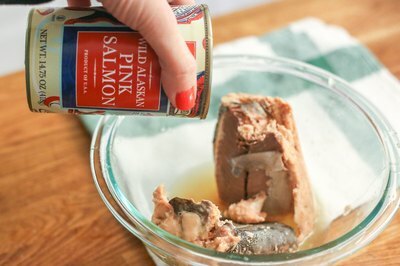 Pour an entire can of salmon into a mixing bowl. 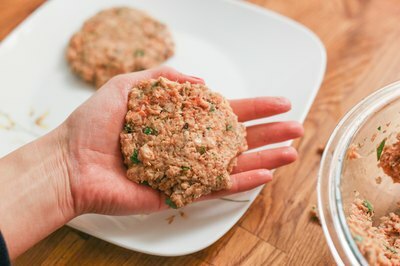 Do not drain the liquid from the salmon; it contributes flavor and helps bind the salmon patties together. Shred the salmon, using two forks or your fingers, to break it down into smaller pieces. 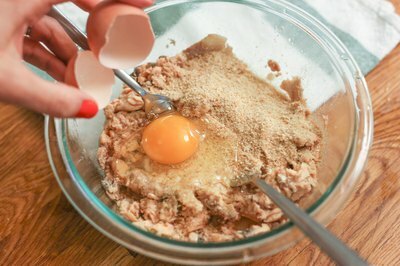 Add desired binders, such as breadcrumbs or finely crushed crackers and an egg. Add desired ingredients, such as finely chopped onion and red or green bell pepper or diced celery. Add herbs ,such as freshly chopped parsley, cilantro or dill, and seasonings, such as salt and pepper, paprika or garlic powder. Try adding a squirt of mustard or lemon zest for added flavor. Stir the ingredients together, until thoroughly mixed. Form the mixture into patties, approximately 1/2-inch thick. 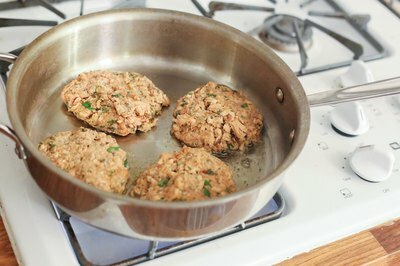 Cook the patties over medium-high heat in an oiled skillet for 3 to 4 minutes per side, or until golden brown. Alternatively, you can also oven-bake the patties. Quickly sear them in a skillet for a minute on each side; then place them on a baking sheet and bake at 450 degrees Fahrenheit for 8 to 10 minutes, or until golden brown, flipping once halfway through.